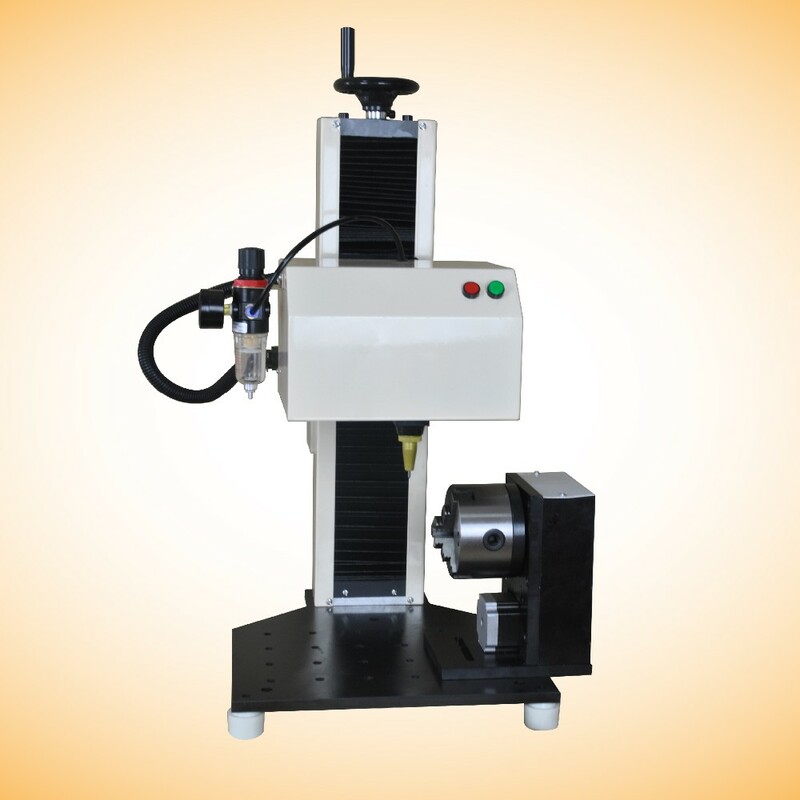 Pneumatic Serial Number Marking Machine is also call dot peen marking machine, which need work with computer and air compressor,create a engraving effects on your product surface.You can write English letters,numbers.symbols and other content into your computer by our software. 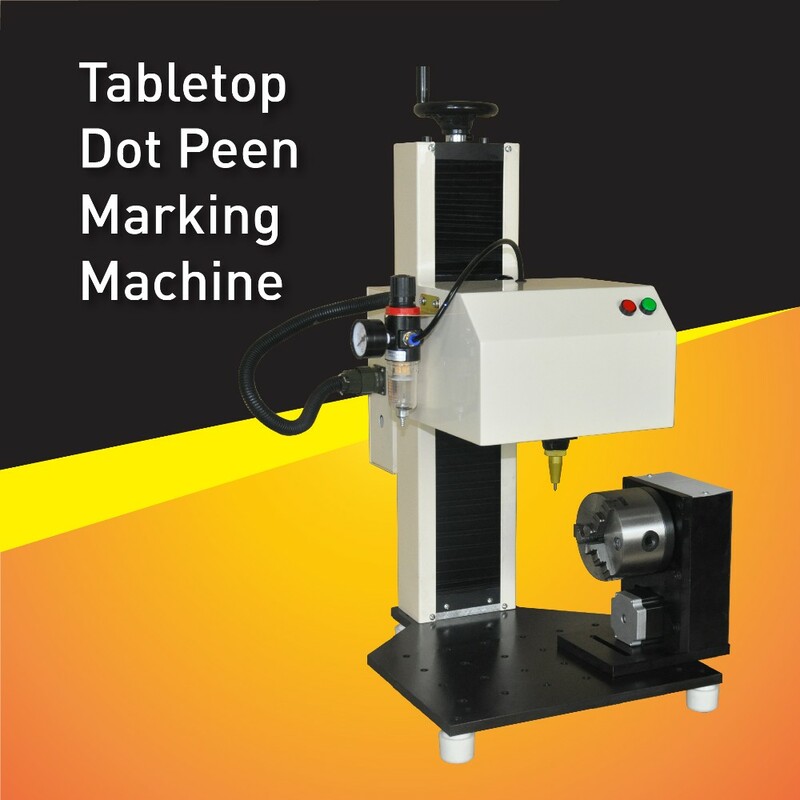 The HS-DP01-R is a pneumatic Benchtop Dot Peen Marking machine that comes with a Rotary Fixture Base designed to provide stability during marking. This machine has the ability to mark components of all shapes (circular and flat) and sizes with equal efficiency and precision.The Machine is good for circle part marking such as fittings, flange etc. 1). Connect to computer by USB interface,easy to install and operate. 2). Adopt imported guide rail, high marking precision. 3). Compact Machine Design,keep machine stable working. 6). 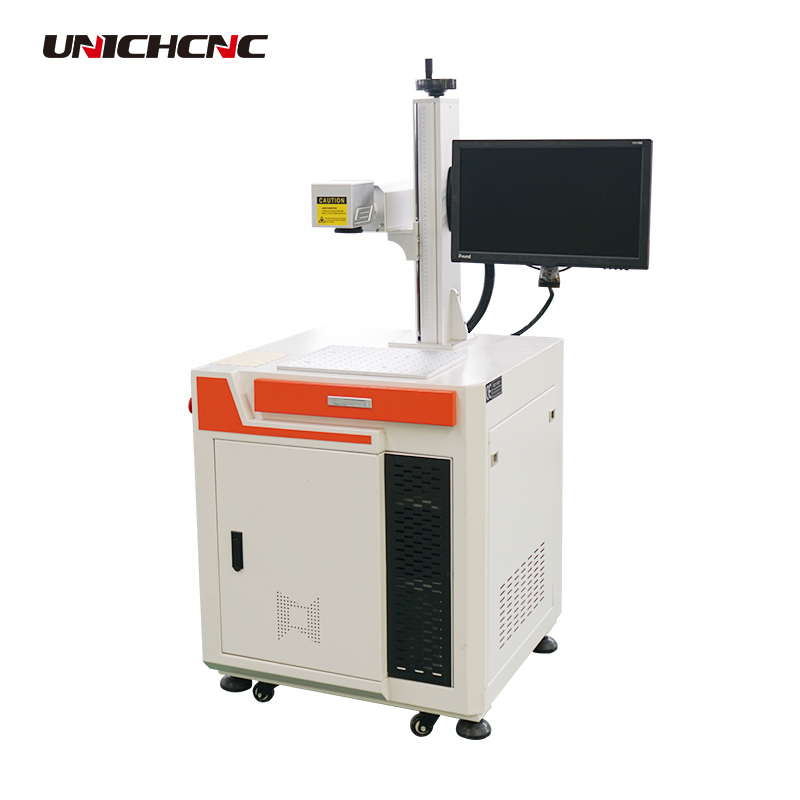 Can Marking various content automatically such as Chinese,English,Graphic,Serial number,Vin code etc. From 0 to 40 Centigrade Degree. All English Characters, All Numbers, Variety of Graphics, Logos, Barcodes, Dot Matrix 2D codes, Circle Letters, Serial Numbers, etc. Permanent Direct Part Marking of a barcode for tracking an engine or a rod. 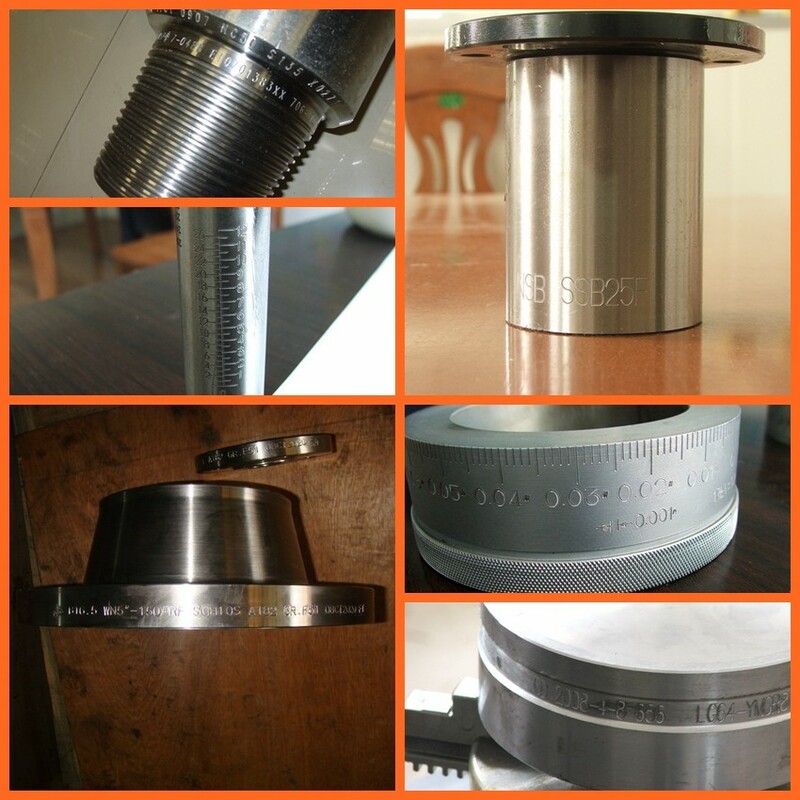 Metal part marking on stainless steel, copper, aluminium, brass, copper, titanium etc. After-Sales Service: HeatSign offers exemplary after-sales service following the remote initial training. Our support team is available 24/7 to handle any issues product owners may encounter – technical or otherwise. Every service call is taken care of on an emergent basis. Our customers can get in touch with us through any of the contact options: E-Mail or Call. After-Sales Training: At HeatSign, after-sales services are considered a priority. Our training team is factory trained and guide you by email,video and remote PC control.This machine is easy to install and operate,we will support you use it perfect. 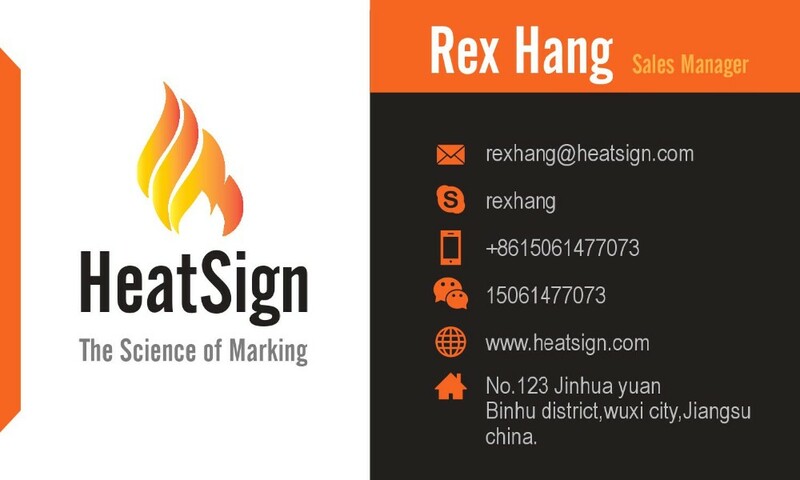 One Years Free warranty: Whole Machine Supply 1 year warranty.HeatSign warrants all HeatSign-branded products and accessories that come with the original packaging (“HeatSign Product”) against faulty materials and manufacturing defects when used normally in accordance with HeatSign’s guidelines. Spare Parts:HeatSign not only sets standards in the development of new marking machines, but also in providing optimum service in the event of a repair. We stock genuine spare parts for every model for a minimum of 10 years. 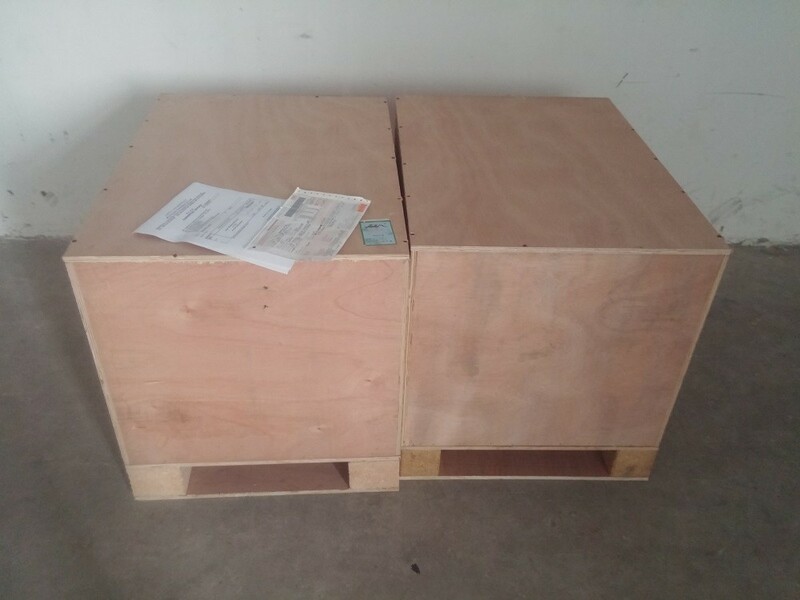 If the customer machine need spare to repair ,we will send spare part in the short time.